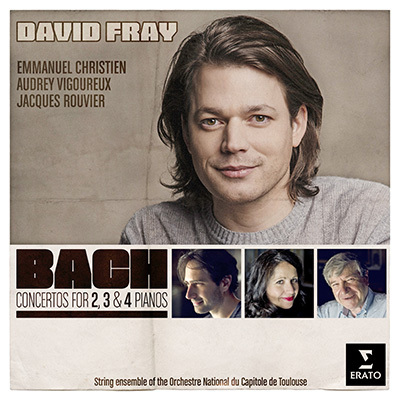 “David Fray presents a collaborative album of Bach concertos for two, three and four pianos. He performs with Audrey Vigoureux, Emmanuel Christien and Jacques Rouvier in what he calls “a musical family affair”. Fray, along with Vigoureux and Christien, has studied under Rouvier, and all four players feature on the album. Read the full article on Classic FM.